The 2013 Lincoln MKZ Hybrid hit the markets in February 2013. A second-generation model of the original Lincoln MKZ, its production was plagued by more glitches than one. It was however, quality problems at Ford’s assembly plant in Hermosillo, Mexico which caused the longest delay in production. It is then no wonder that those looking out for this vehicle breathed a huge sigh of relief when the MKZ Hybrid was finally released early this year. The question is, was it worth the wait? 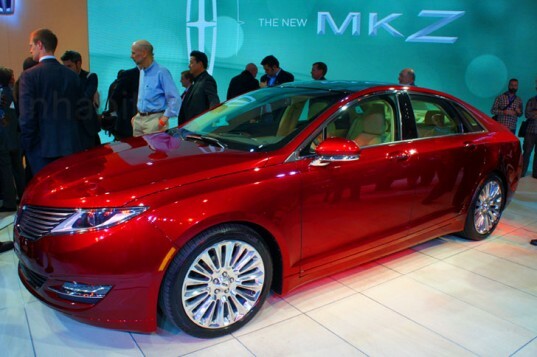 The MKZ series comprises of mid-size entry level luxury sedans that are easy on the eye offer smooth, comfy drives. The 2013 Hybrid model is certainly one that would not go unnoticed on any road. It is sleek, snazzy and distinctive, with a low roof, prominent front grille and a convertible-like sporty look. For those who like to make a statement on the road, this car is for you. What is interesting is that this new MKZ Hybrid has borrowed much from the Ford Fusion Hybrid (its unmistakable sibling) in terms of the technology used. It has a 2.0 liter Atkinson-cycle four cylinder engine and a 88 kW electric motor with a lithium-ion battery pack. The total system output is a respectable 188 horsepower which when combined with other factors promises a mileage of 45 mpg in both the City and on the Highway. This puts it ahead of its primary competitor – the Lexus ES 200h, which offers a 40/39 mpg City/Highway mileage. Lincoln has warned, however, that the car’s fuel performance is contingent on several factors suggesting that the mileage may vary in different driving conditions. Alongside offering good mileage, the Lincoln promises a luxurious, comfortable ride. The interiors are spacious with much leg-room and fair amount of cargo space. The inner consoles and instrument cluster are high-tech and unique, if slightly complicated. The car is equipped with MyLincoln Touch which provides access to a colorful screen with attractive, colorful graphics. As far as the whole car driving experience is concerned, the 2013 Lincoln MKZ Hybrid certainly does not fall short. While the above represents the specifications released by the manufacturer, the user experience is a different thing altogether. Users report that the real-world mileage and car’s output is hardly ever over 35 mpg which is a falls far short of the promised average. The MyLincoln Touch is known to falter sometimes and the consoles have small buttons which makes them less easily accessible. The most drastic shortcoming perhaps is that 28% of cargo space has been sacrificed in favor of fuel economy alongside the backseats lacking too much room. For big families that travel heavy, this vehicle may not always be suitable. The 2013 Lincoln MKZ Hybrid thus leaves something to be desired. However, owners are largely so rather satisfied with it, since it has been priced very well with an appropriate entry-level price tag. Therefore, the car shall be a good bet for those who do not have an extravagant budget but a penchant for luxury.